On Saturday, 19 January the BBC2 historical documentary series Timewatch will be showing a programme about William Marshal, the greatest knight of the Middle Ages. 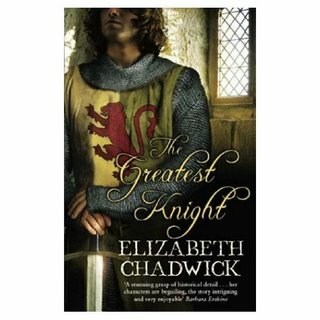 Elizabeth Chadwick has written two acclaimed novels about him, The Greatest Knight and The Scarlet Lion. Carla Nayland posted a perceptive review of The Greatest Knight on her blog here. Elizabeth Chadwick's latest novel, A Place Beyond Courage, is about William Marshal's father, John. These are thoroughly absorbing novels, rich in character and atmosphere, from an author who, having found her true metier, has grown in stature and maturity. It seems that her novels are at last beginning to reach the wide readership they deserve. If you're interested in how a historical novelist goes about her research, visit Elizabeth Chadwick's blog Living The History. It doesn't all come from books, you know.